Are you looking for orthotics in Waukesha? Orthotics are a great way to help with issues related to walking and alignment. 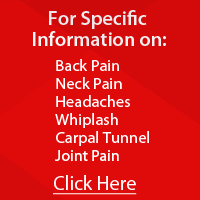 Some of these include but are not limited to knee, foot and lower back pain. The need for orthotics is often related to an issue with the natural functioning of the foot. If you are looking for a orthotics in Waukesha, call our team at Grandview Chiropractic Center today for a no obligation consultation and find out what possibilities lay ahead for you!